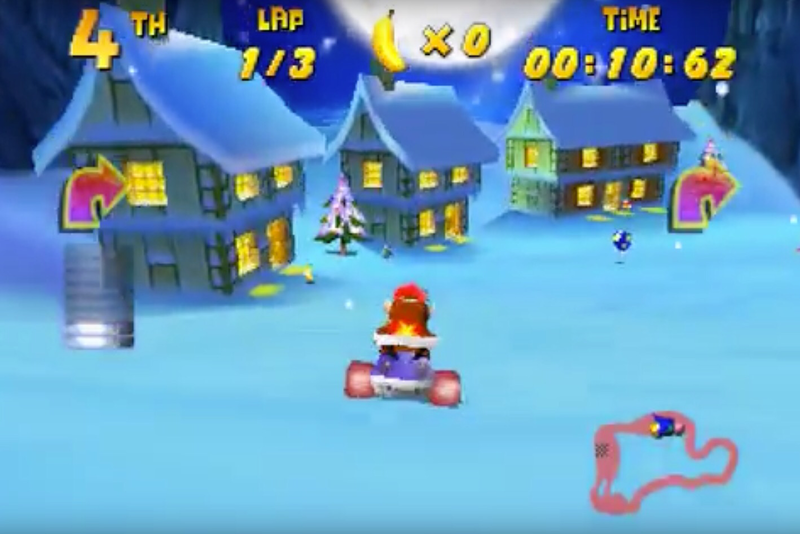 Diddy Kong Racing! Press Start! – ready for some slapstick? 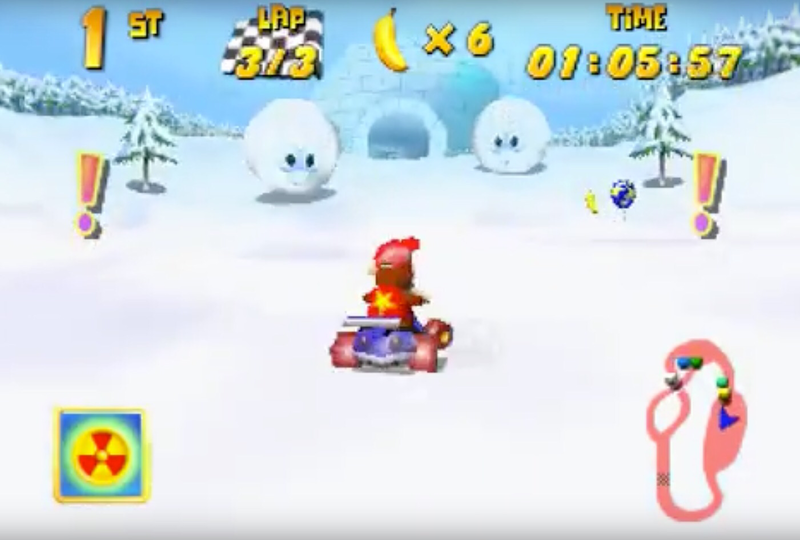 Diddy Kong Racing! Press Start! 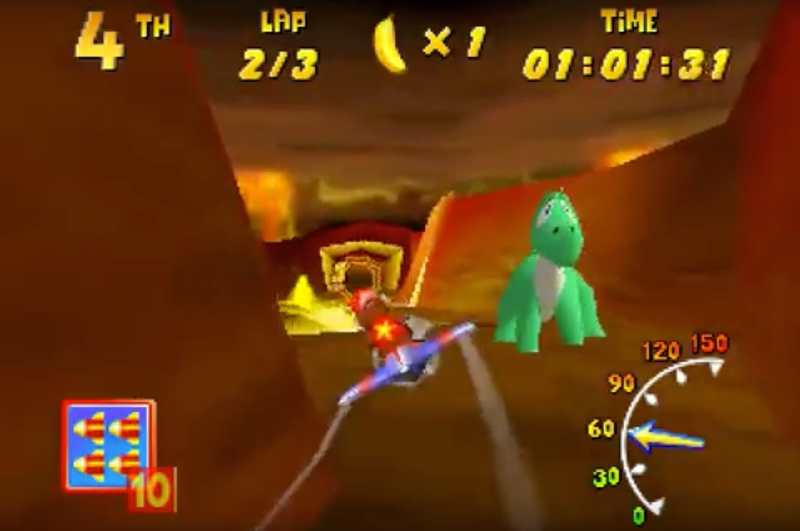 Diddy Kong Racing was one of the first racing games I ever played besides probably Pole Position. Sadly, I was really bad at it for a long time. But that doesn’t mean I didn’t have tons of fun with it, darn it! I loved so many things about DKR. Getting to race in a hovercraft was awesome, even if the handling was a bit tricky for me. The race tracks were unlike any I had seen before on Pole Position and Cruis’n the World, with giant dinosaurs, whales and snowballs and ghosts decorating the courses. And the makers of the game had gotten the music just right. It set just the right atmosphere for the individual worlds but still carried the same frenzied feeling throughout each track. While I was unfamiliar with the characters aside from Diddy (though in hindsight, I believe DKR was the first appearance for everyone but Diddy), I loved them all. Except for Diddy. I remember really hating him and refusing to play as him when I was younger, even though he was the most balanced character. Aside from knowing I was going to avoid Diddy, I always had a hard time choosing who to play as. I will say though, Banjo was my absolute favorite character. He just looked so cool in his bright yellow shorts — my favorite color. As I mentioned above, the racetracks were certainly unique. They each had so much going on and were loaded with personality. Some of them still remain my favorite tracks from any racing game. 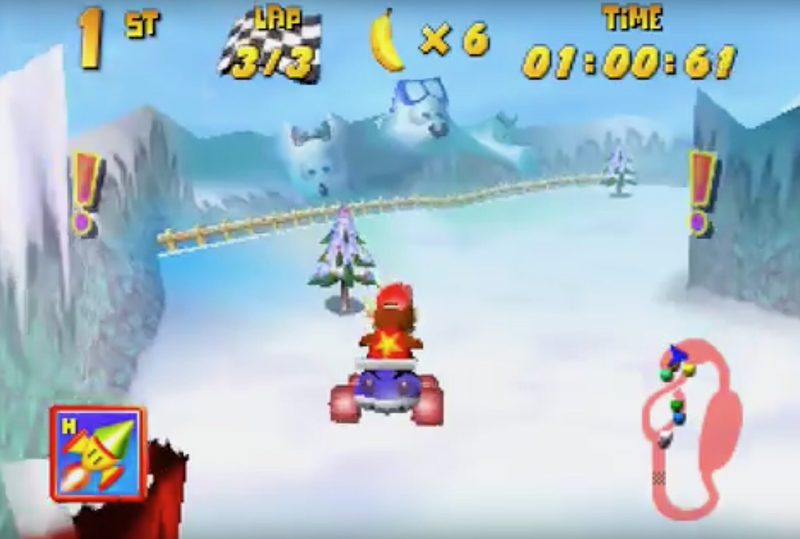 What are your memories with Diddy Kong Racing? Which tracks did you like best? And did anyone play the remake for the DS? if so, how’d that go? Let me know in the comments! Mario Pinball Land – But Why? I never played this, but didn’t the game have a narrative? Pretty rare for a kart racer! No idea, but it’s a nice addition that kind of fuses kart racer and collect-a-thon.